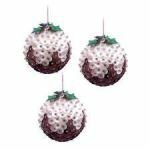 brilliant Christmas decoration kit. 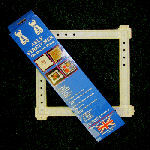 Makes 3 puddings approx 38mm includes all sequins,pins,cord and clear instructions plus four thimble its to protect your fingers when pushing sequins in ! 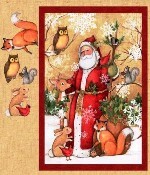 Counted cross stitch kit to make 4 cards - all materials included. 3 in stock with fabric . 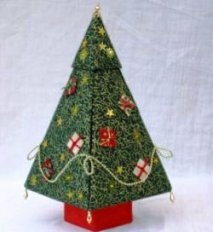 templates and all instructions to make a 14 inch high tree shaped box for the festive season. Opens up to reveal a storage area that might hold a surprise! Measures approx 60cm x 112cm (23" x 44") Finished size 51cm x 57cm (20 1/4" x 22 1/2"). 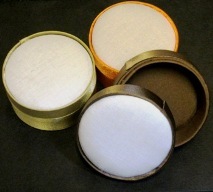 Canvas stocking ready for your to decorate and fill with presents. Hanging hook.